finally my loves, finally i got my hands on the naked 3 palette by urban decay. i can not even deal. i waited for it for such a long time because theres just no shop in germany that stocks urban decay and all the online shops went out of stock as soon as it launched. i literally got it yesterday and i haven’t even used it because i wanted to do a little first impression of it. i also filmed a video. so you can either read through that post or watch the video or do both. so lets get into it. so first off all, i think we all know that the 3rd naked palette is more of a rose gold palette. neutrals with rosy and golden under tones. it comes in that hard case that the naked 2 came in which i love. it always looks nice and its just better for taking it places. the case itself is pinky gold with golden letters and kinda textured. it includes 12 shades, 3 of them are matte. i love the huge mirror that it has because i really like to use it when i have it with me to touch up my make up. it also comes with a brush that i already took out. one end is a flat shader brush, the oder end is more of a blending or crease brush. now onto the color selection. one thing i love about every naked palette is that they come with such a huge color variety. i’m able to create a lot of natural day time looks but also smokey eyes for night outs. the colors go from light to dark. i think you can really tell that almost every color has gold undertones or is a rosy gold or a champagne gold. i jus love it. the color selection and pay off is incredible. 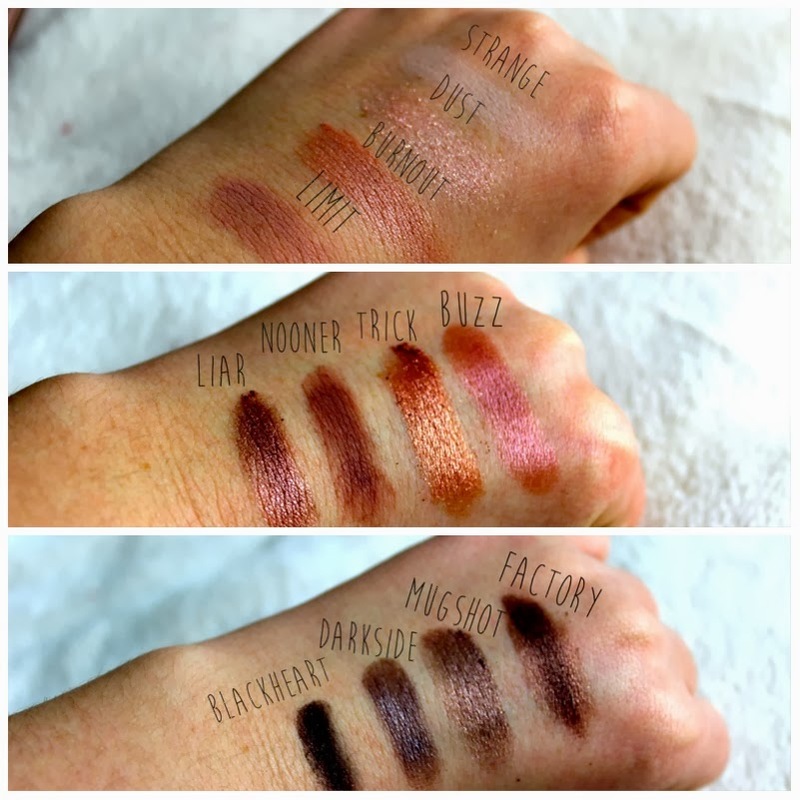 urban decay eye shadows are just beyond pigmented. so great to work with. i love working with rosy golds because they work great with my skin tone. so far, i’m really impressed because its so different from the first two palettes and because the colors and the packaging look awesome. i just can’t wait to work with them and please let me know if you like to see a longer review or any make up tutorials with it. do you own the naked 3 or any naked palettes? do you love them as much as i do?